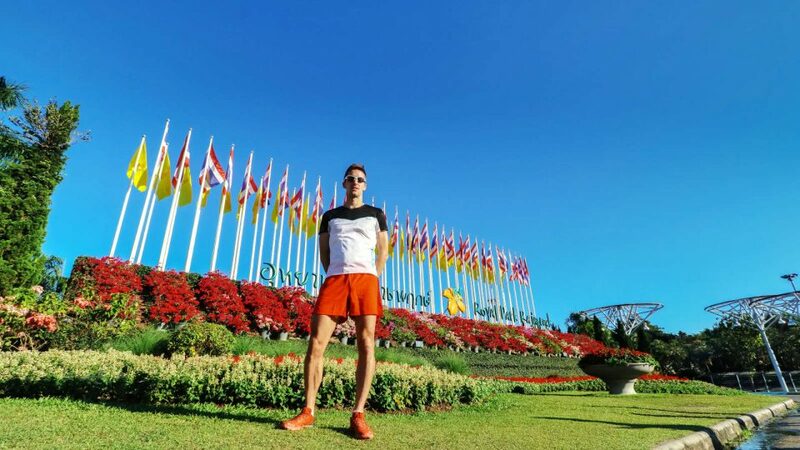 He’s the 2XU Compression Run Singapore 2018 half-marathon champ. He’s also a guy guaranteed to inspire you for myriad reasons. Fabian Downs is one versatile dude. 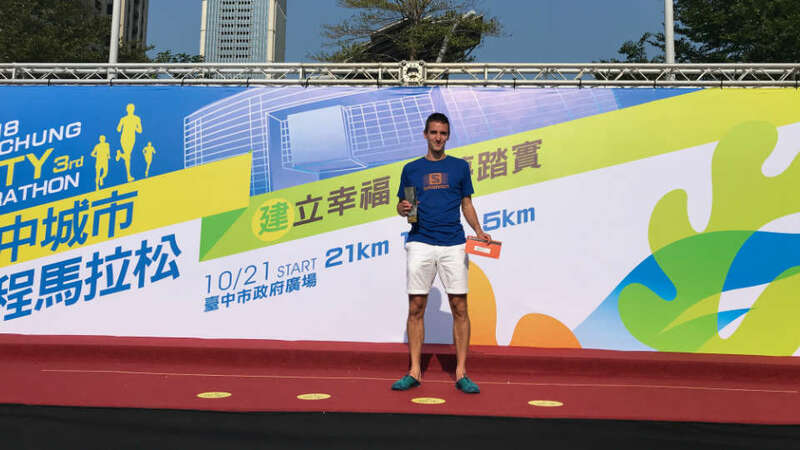 The 32-year-old UK-born Swiss athlete earned a master’s degree from the University of Oxford and he manages to carve out a successful teaching career in addition to keeping up with a tough race schedule. He’s impressive. If you don’t agree after reading our interview, we dare you to put on your running shoes and accomplish half of what he has achieved thus far! RS: Congratulations are in order! How did you celebrate your 2XU Compression Run win last year? Fabian: Modestly; I enjoyed delicious Korean dumplings and went to sleep! 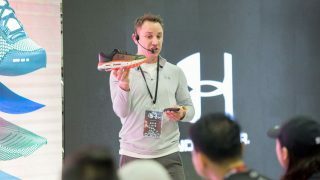 RS: Were some 2XU Run 2018 obstacles more challenging than others? Fabian: The early start time and humidity. I like to sleep as long as possible on race day to help speed my recovery. The humidity? 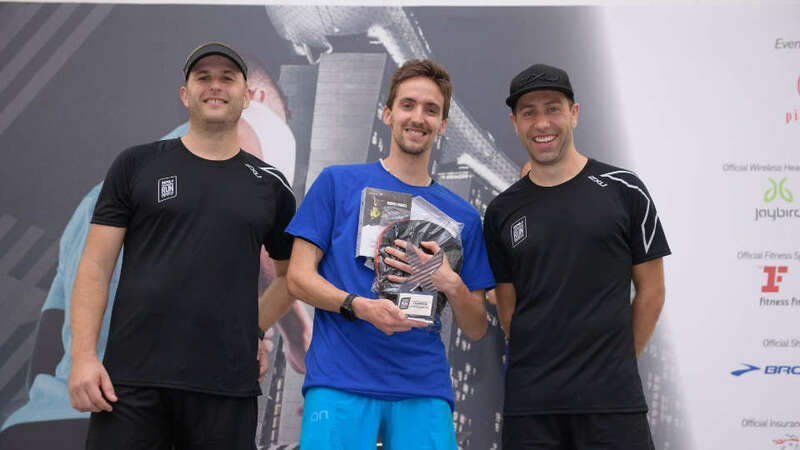 It was stifling, even at 4 a.m.
Middle: Fabian Downs, 2XU Compression Run Singapore 2018 21.1km winner. RS: Would you be comfortable sharing your training secrets? Fabian: I train daily—sometimes twice—averaging 160km per week if I’m preparing for a marathon. I add tempo, interval and long runs plus core work. Enjoyment is the key to winning, so set your schedule according to your lifestyle. Hate to get up at 6 a.m.? Run at 6 p.m. instead. RS: Do you do anything unusual to prepare your body and mind for a run? Fabian: I think barefoot running and balancing exercises are fantastic. Your readers can see more on my Strava website. RS: You mentioned Korean dumplings. Does this mean you don’t follow a traditional running diet? Fabian: I have a passion for chocolate (The world's best chocolates are made in my homeland, Switzerland), and I love Asian food. I’m not a total maverick. I eat at least 10 fruits and vegetables daily. RS: When and why did you start running? Fabian: I was 15 when I started running short distances. After graduating university in 2004, I began training consistently. Noticing significant improvements, I began to set goals and train in a more structured manner. 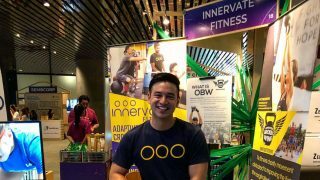 RS: How do you juggle being a national athlete and full-time teacher? Fabian: By following in the footsteps of other top marathon runners. They juggle full-time jobs, too. The key is time management and being organised. The biggest challenge for me is getting enough rest and sleep. RS: You have competed in so many countries. How come? Fabian: I set a goal of running 100 races in 100 countries because I’m passionate about travel. In 2018, I ran in Malaysia, Singapore, Indonesia, Taiwan, Thailand, Armenia, Jordan and Qatar. RS: How do you compare running in Singapore to other countries? Fabian: The most obvious difference is Singapore’s weather. That said, I love the flat areas around the bays and trails outside the city; they’re perfect for tempo runs and marathon training. I feel very safe here. RS: When times get tough, who is your biggest supporter? 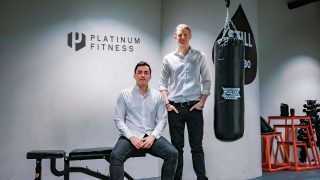 Fabian: There’s more than one: my entire family—none of whom run competitively—plus my Singapore partner. RS: What do you tell runners who seek your advice on running half or full marathons? RS: What do you say to those who would dethrone you in the future? Fabian: I welcome challenges; please come and have a go! Running is a collaborative sport. Having rivals makes me go faster. They help me push my limits. RS: What do you hope to achieve at future running events? Fabian: Variety. 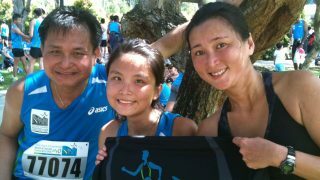 I plan to attend this year’s 2XU Compression Run and have a long list of fast marathons on my schedule. I intend to compete in European mountain races and maybe another fast event or ultra at year’s end. RS: Do you make New Year’s resolutions? Fabian: Not normally, but if I did, they would be to inspire more people and visit at least five more countries as part of my 100-country challenge. Hong Kong, here I come! Want to learn or find out more about this inspiring runner and coach? Find Fabian Downs on Facebook and Instagram. If you could spend half an hour talking to Fabian Downs, what would you ask him?